Whether a client’s estate and assets are small and simple or large and complex, each client at Financial Independence Planning, LLC™ gets the same attention, dedicated financial planning and world-class service from a team, not just a single advisor. 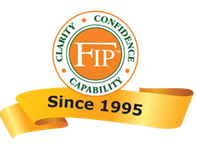 FIP is one of the premier financial planning firms in the tri-state area. The team has just celebrated its 20th anniversary. FIP has received recognition for the last 5 years as the 5-star Wealth Advisor for the Pennsylvania region and highlighted in Forbes magazine. FIP continues to enjoy growth through clients and guests fun events, educational seminars and referrals. As many clients have stayed with the firm since its early years, the firm continues to provide wealth management for the clients’ families and generational planning for the clients’ children and grandchildren. The Financial Independence Planning, LLC™ team with $700 million in assets under management, uses an eight-point process to get clients where they want to go. It includes an exploration of goals, taxes and investments; charting a plan and reviewing it; and quarterly and annual checkups. Along the way, the advisors consult with either FIP’s in-house CPAs and attorneys, or the clients’ CPAs or estate planning attorneys to tie all financial areas into one complete plan. Our advisors work with a well-tuned set of financial models that align with our investment philosophy. In addition, the well-staffed customer services department follows a finely-tuned FIP process to consistently deliver the highest level of customer satisfaction.